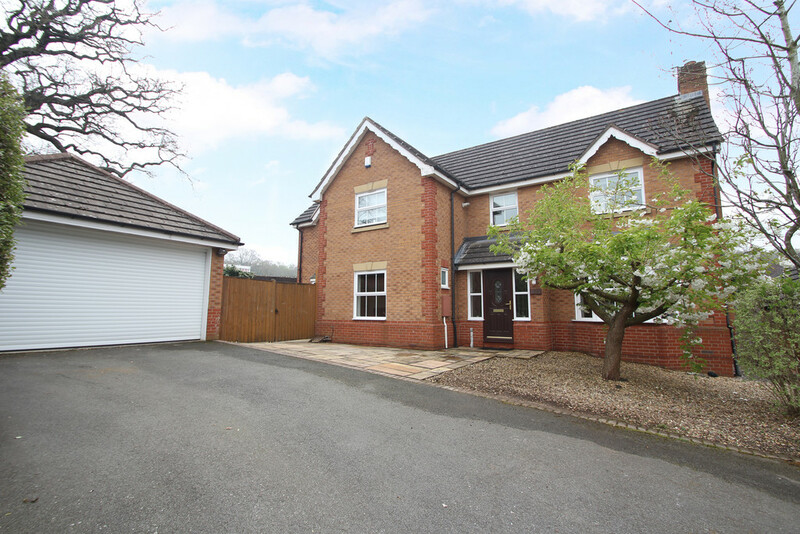 A well presented 3 bedroom detached property with the possibility to extend (STPP). No upward chain. Offering good size accommodation to include large living/dining area, modern bathroom, spacious kitchen, separate utility, three good size bedrooms, separate garage and beautiful gardens. 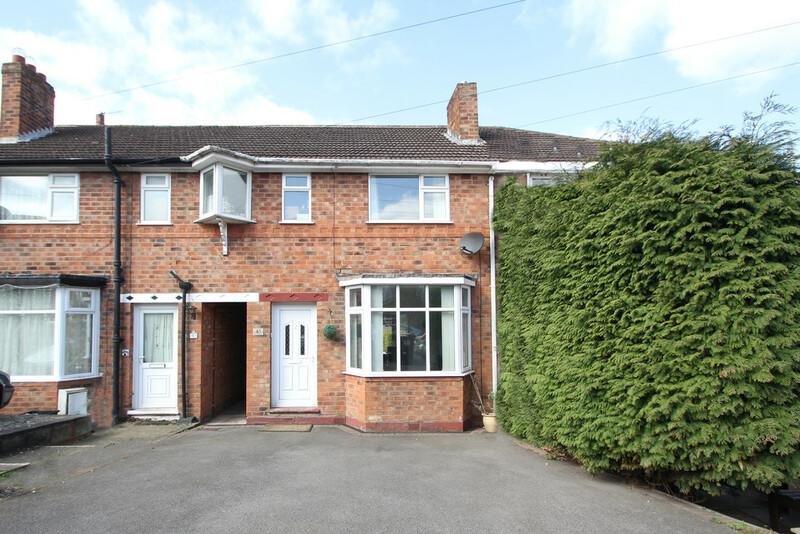 Well positioned property, close to shops and conveniently placed for Coventry, Birmingham and local road and rail links. 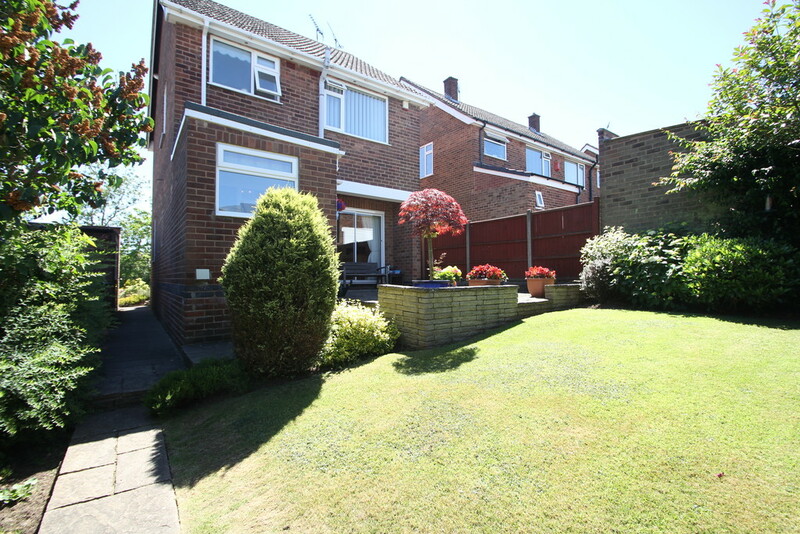 PROPERTY IN BRIEF This is a lovely spacious family detached home set back from the main road behind a tree verge. A perfect opportunity for young buyers or as a family home. Having the advantage of large windows throughout making this property feel bright and airy. The property benefits from a driveway for two cars plus single garage. 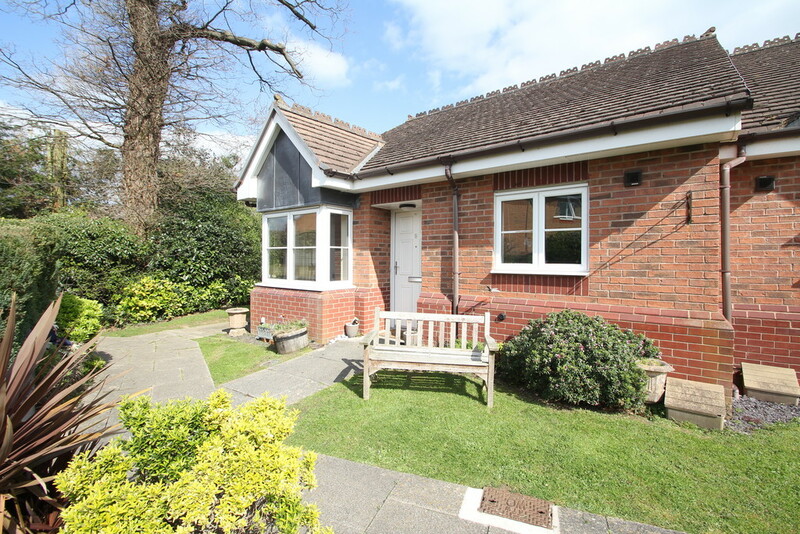 We love this age of property, designed to deliver a spacious home. Step inside to the hallway where you'll find plenty of space for side table and lots of room to kick off your shoes and hang coats. The hallway is super-light, having the benefit of a window to the side elevation bringing in plenty of natural light which passes through to the living space via the single glazed frosted window. 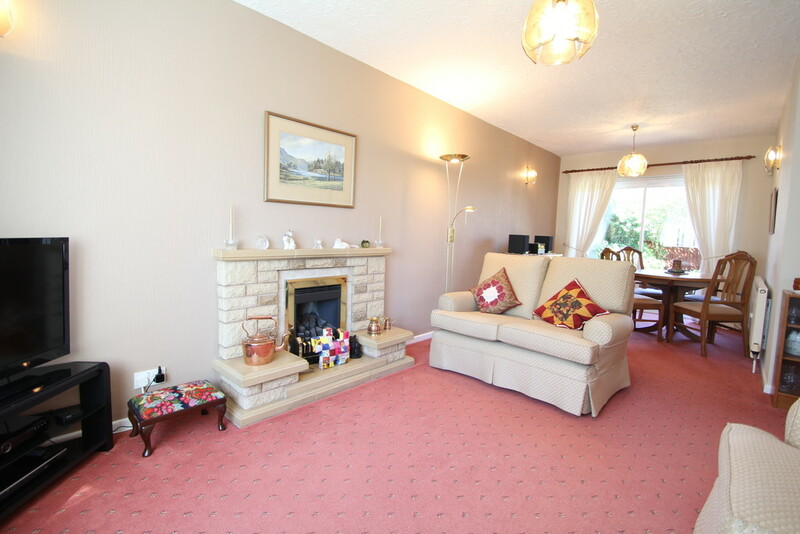 The living/dining room is a wonderful living space having central focal fireplace and plenty of room for sofas and furniture. 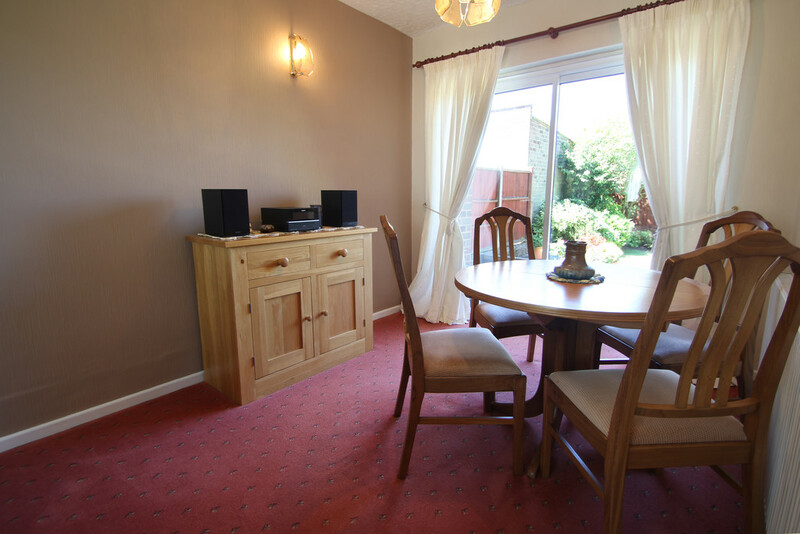 Superb dining space for family dining table with sliding patio doors leading you out to the garden. 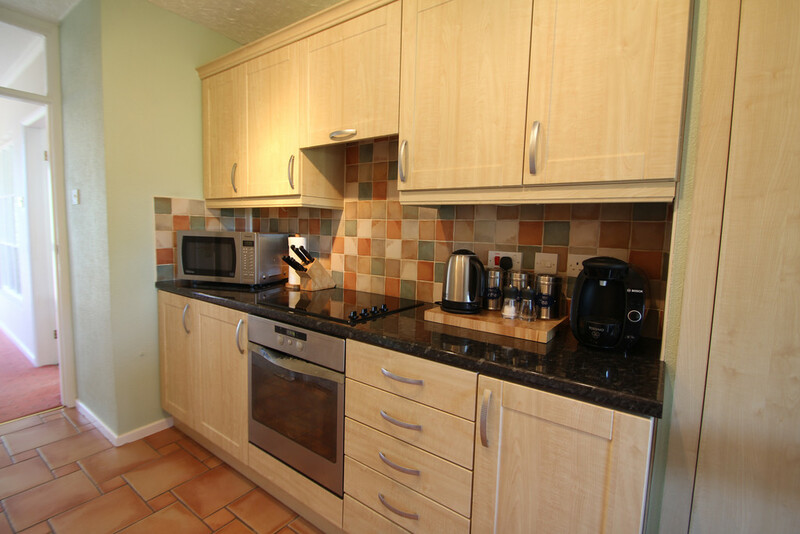 The kitchen is set to the rear of the property, spacious and well equipped. A view out to the garden and separate utility area which is the perfect solution for family clothes washing facilities. Moving upstairs, we arrive at the landing, again plenty of natural light delivered through the side opaque window. Here you will find the airing cupboard, home to the Worcester Bosch combi boiler and space for your towels too. The master bedroom set to the front of the property, it is spacious and like all of the bedrooms here, benefits from built in wardrobe space. 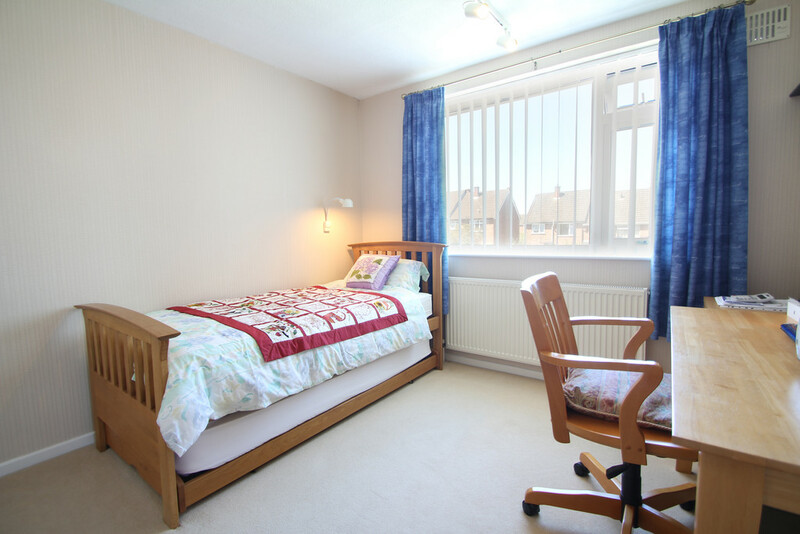 Bedroom two has a lovely view over the rear garden, bright and neutrally presented. Bedroom three is perfect for bedroom or home/office, also benefitting from built-in storage and views over the front gardens. 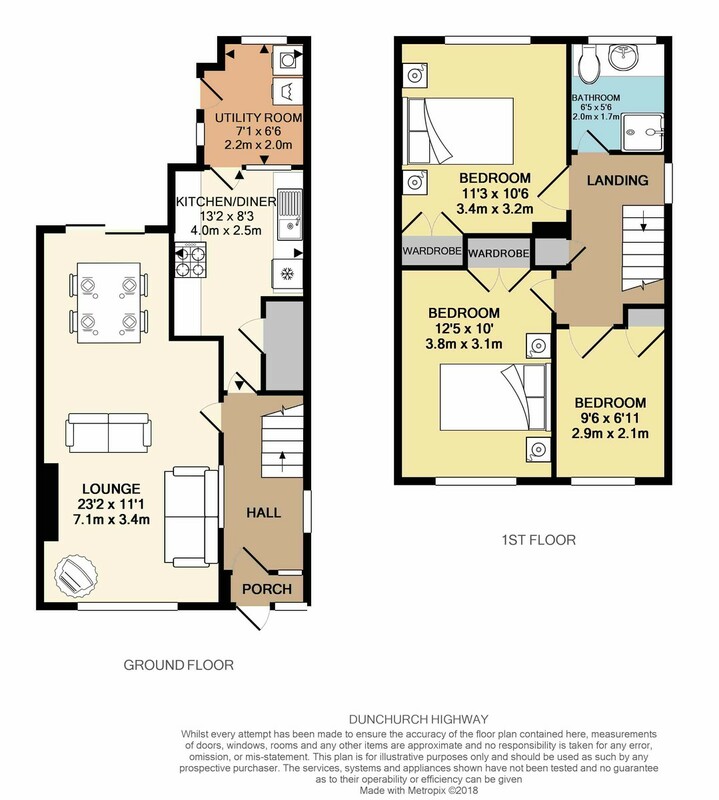 All three bedrooms deliver good space. The front and rear gardens are beautifully landscaped and multi-levelled. 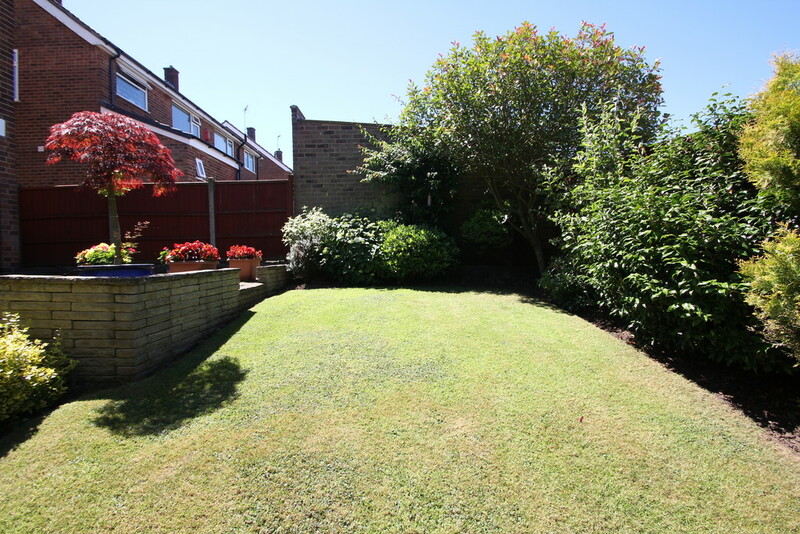 You can see that the current owners enjoy tending to their garden as it presents a relaxing place to be. There is a side passageway that leads you past the barbecue area to the driveway which affords space for two cars plus a single garage having the advantage of remote up-and-over garage door. 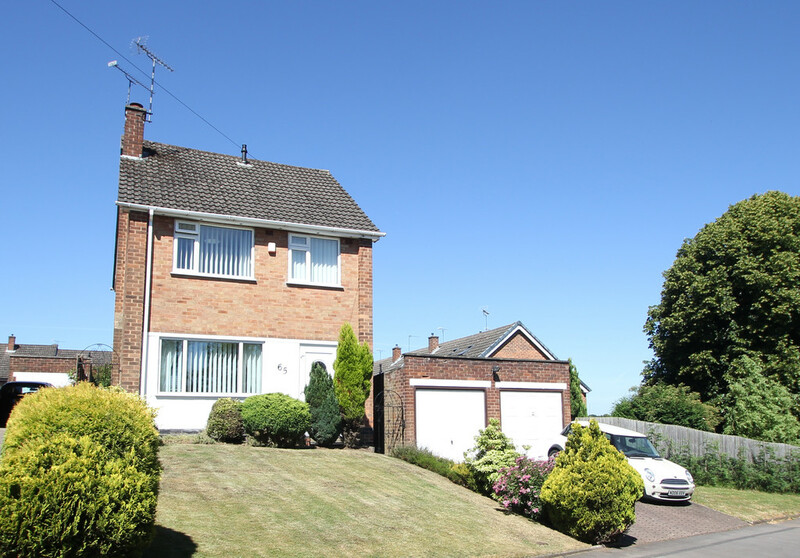 This is a well-maintained, spacious family home, superb location and offered with the benefit of no upward chain. 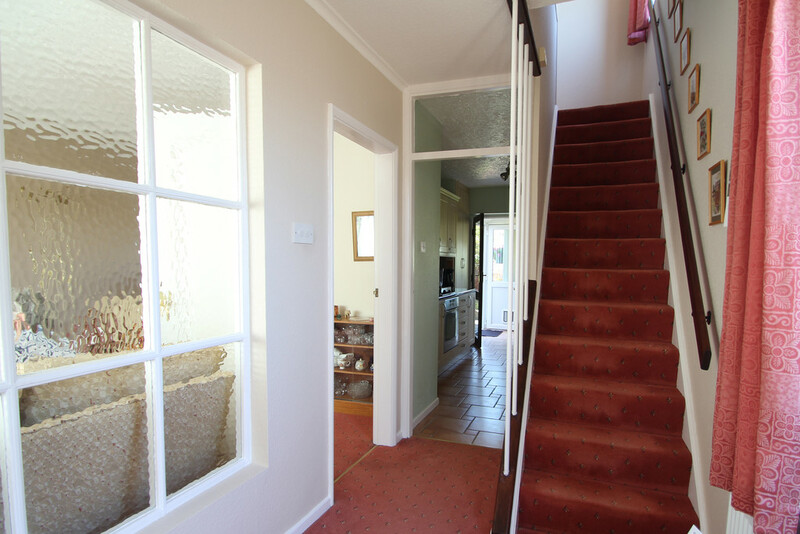 HALLWAY 11' 0" x 5' 7" (3.36m x 1.71m) Step inside to this spacious, welcoming hallway from the porch. This is a bright space, having the advantage of an opaque window to side delivering plenty of natural light into the hall. Neutrally presented with carpet laid to floor. 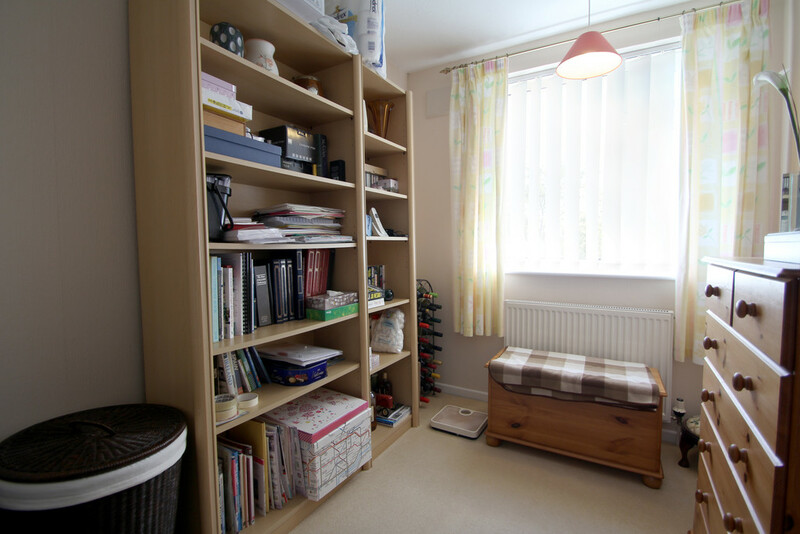 The hallway affords access to the kitchen and living/dining room and offers a radiator to keep you nice and cosy upon your return home in the cooler months. LIVING/DINING ROOM 23' 1" x 11' 1" (7.06m x 3.38m) narrowing to 2.58m This is a wonderful family space, dual aspect views having large window to the front aspect and sliding patio doors to the rear leading you outside to the garden-this is perfect on a sunny day. Whether you like to snuggle up in front of the gas feature fire and unwind after a busy day or entertain friends and family, this space offers you everything you need. Plenty of space for your sofas and TV etc. The rear of the room offers perfect floor area for family dining table where you can enjoy your dining experience looking out to the beautiful rear garden. It may be possible for you to extend the space out over the patio area subject to the right permissions. This space is neutrally presented, neutral carpets and having the advantage of two radiators, dimmer controlled lighting and TV point. KITCHEN 8' 3" x 13' 1" (2.52m x 4.01m) A spacious kitchen having a good variety of beech style wall and base units with contrasting granite effect work-surfaces. Advantage of integral 'Whirlpool' oven and grill with 4 ring electric hob with extractor hood over. Integral fridge and sink. A great feature to this kitchen is the large pantry area, perfect for hiding away the ironing board and mop and bucket. 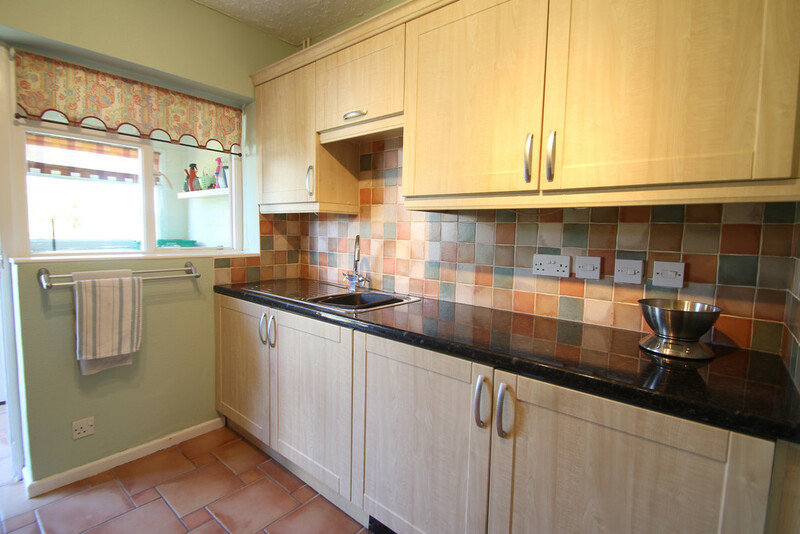 The kitchen also benefits from easily-maintained tiled flooring, under plinth lighting and plinth heater too. 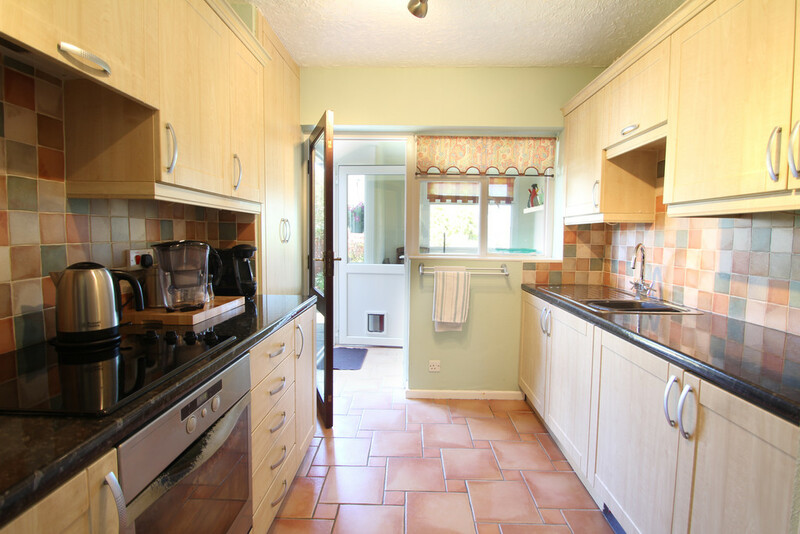 What is great about this property is that it offers a separate utility room which is accessed from the kitchen and leads out to the gardens. UTILITY ROOM 6' 5" x 7' 1" (1.97m x 2.17m) This utility is a great benefit to the property, offering a large space with plumbing for your washing machine and dryer. Having double glazed window looking into garden and side door out to the patio area. MASTER BEDROOM 12' 5" x 10' 0" (3.79m x 3.06m) Located to the front of the property with a view over the front garden. A 'big and bright' bedroom benefiting from large double glazed window delivering plenty of natural light to start your day off with a smile. 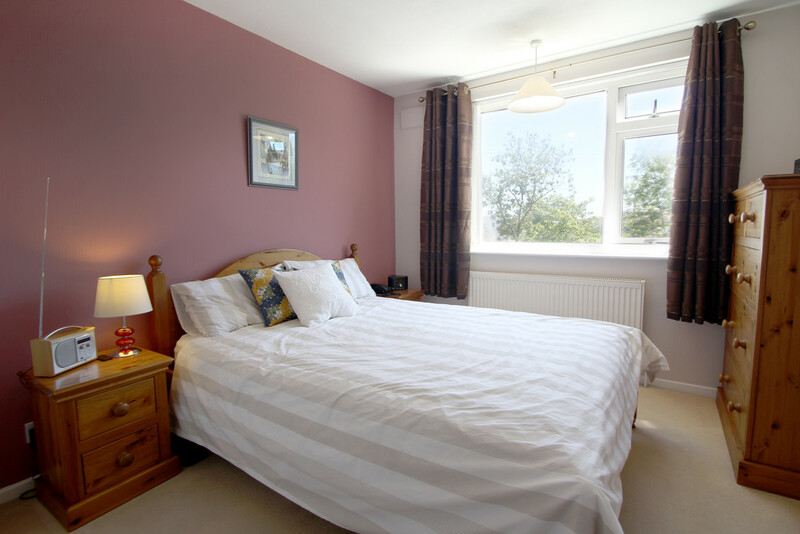 Neutrally presented with feature painted wall, cream carpets and built in double size wardrobe. The room benefits from radiator and telephone point. BEDROOM TWO 10' 6" x 11' 2" (3.21m x 3.42m) Again a lovely bright space, large double glazed window looks out over the rear gardens. Being neutrally decorated delivering a spacious second double bedroom. Also having the benefit of built-in wardrobe. There is a radiator and ceiling spots lights. BEDROOM THREE 6' 11" x 9' 6" (2.11m x 2.90m) In keeping with the style of the property, bedroom three is a great size single bedroom. 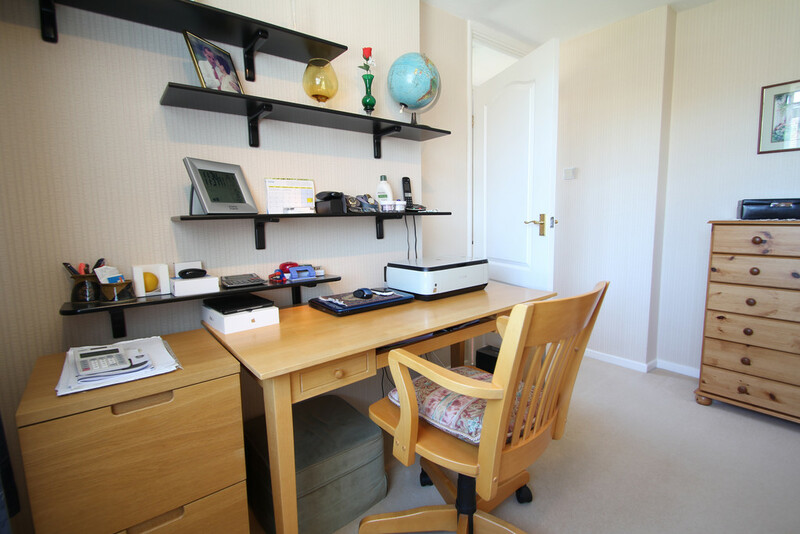 Perhaps you need an office/ study space, well this room will work perfectly for you, especially having the over-stairs built-in wardrobe/ storage space. 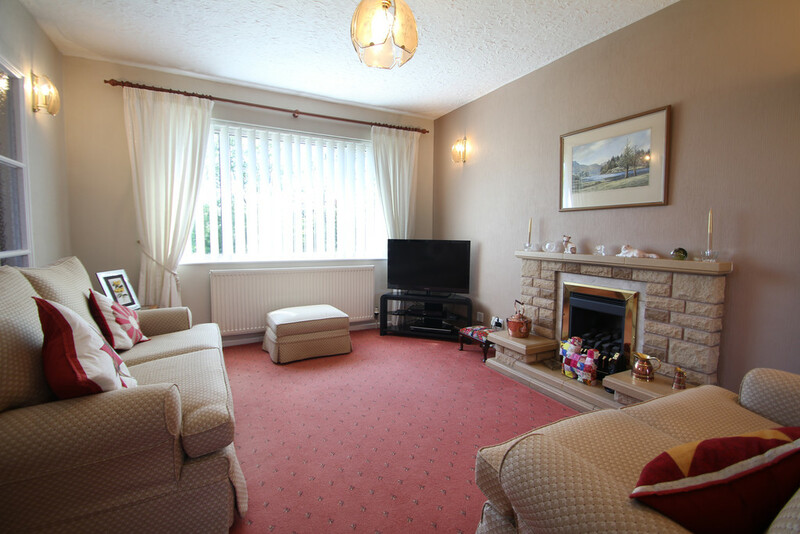 Having large window with view over front garden delivering plenty of light into this room. Neutrally presented with radiator. BATHROOM 6' 4" x 5' 6" (1.95m x 1.68m) A modern and fresh bathroom which leaves you feeling chirpy and ready for work in the morning. 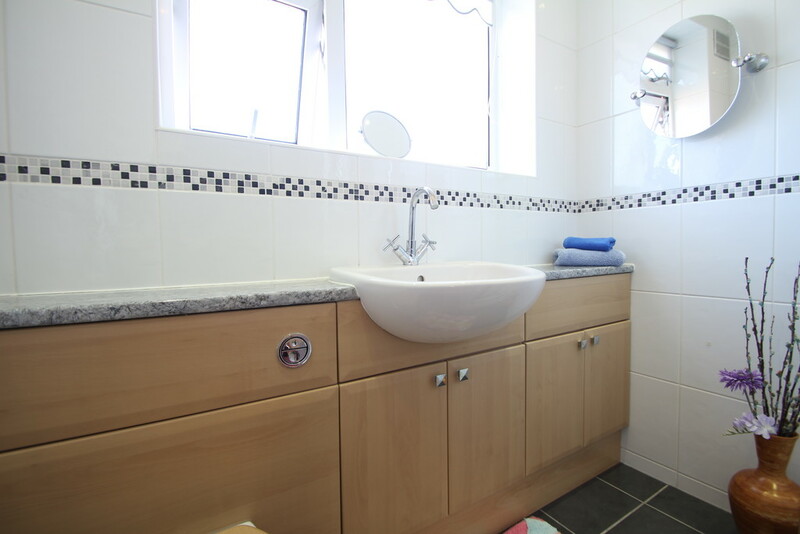 Having been recently refitted to include a luxury vanity unit providing plenty of storage to hide-away your bathroom essentials. 'Ideal standard' bathroom suite comprising wash-basin and W.C. There is a modern, glass shower cubicle having chrome mixer tap and bi-folding door. The bathroom offers a simple style, white tiles with contrasting border, contrasting grey floor tiles, heated towel radiator, opaque window and electric shaver point. A well appointed, stylish bathroom. GARAGE 8' 3" x 19' 1" (2.52m x 5.82m) The detached garage building is shared with your neighbour, you have a single garage space with the benefit of electric, remote 'up-and-over' garage door. 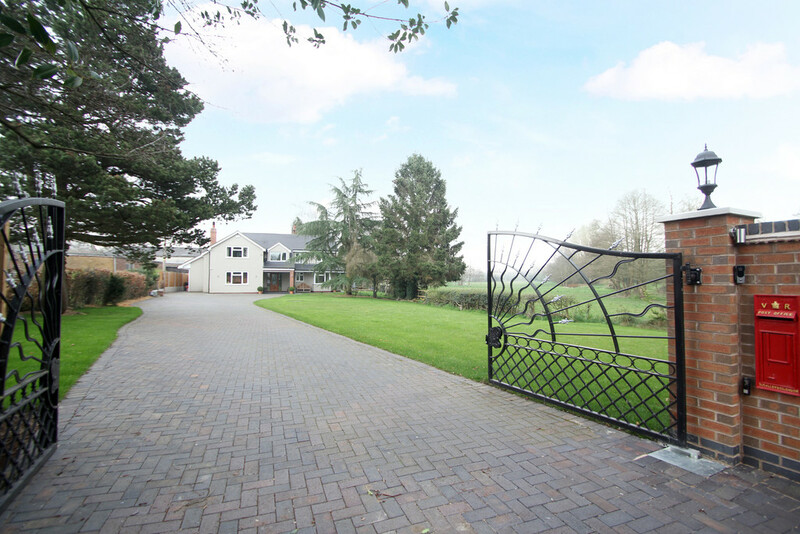 There is a side entrance which is accessed via the side passage way of the property, having gate to front. The garage offers lighting and power sockets. GARDEN The current owners have worked hard on this garden and clearly their pride and joy. 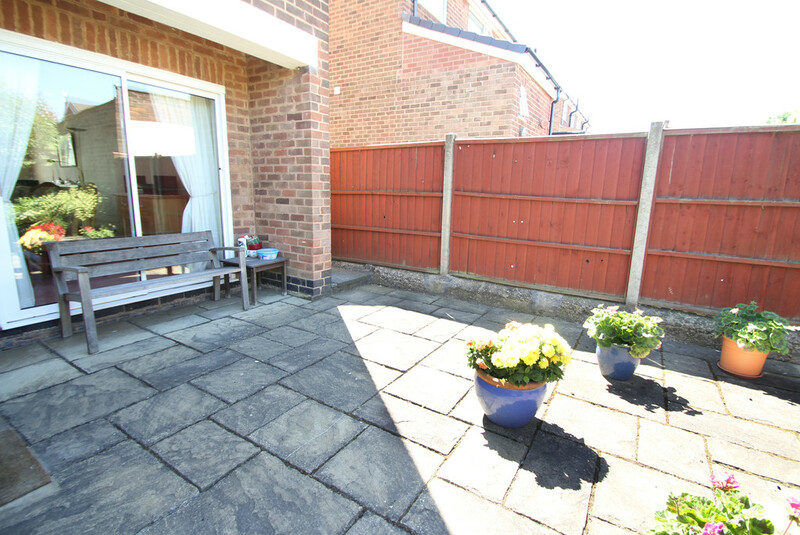 Having patio area which is accessed via the utility or patio doors which could be an opportunity to extend. The garden is set on several levels offering a variety of trees, plants and lawn area. There is a side passageway that leads you to the garage and a gate to the front driveway and garden. There is a barbecue area set to the rear of the garage for those gorgeous summer days. This is a lovely place to relax and enjoy the stunning gardens. 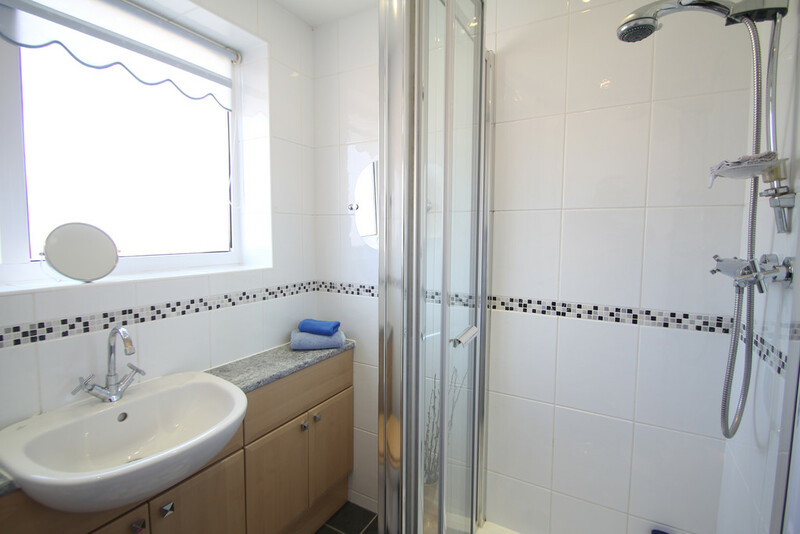 The property offers double glazing and gas central heating with a Worcester Bosch Combi boiler. 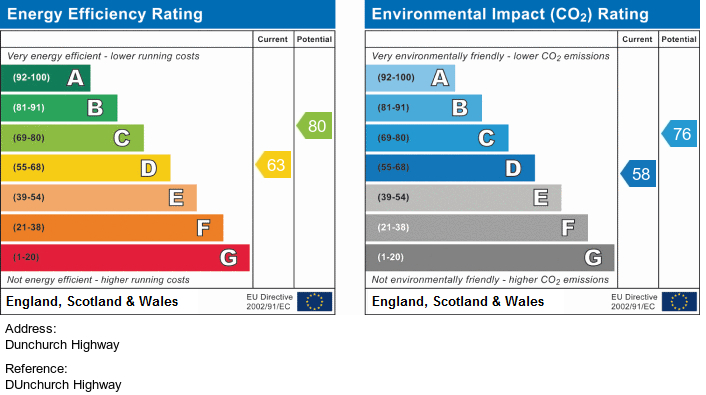 Cavity wall insulation was installed in 1997 and we are advised by the vendors it has a lifetime guaranty. 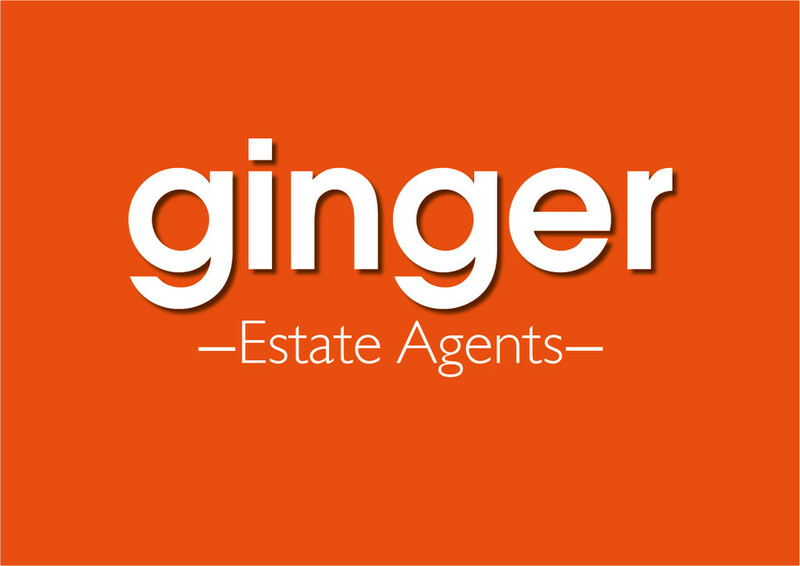 Ginger Property Ltd has not checked appliances nor have we seen sight of any building regulations or planning permissions. You should take guidance from your legal representative before purchasing any property. Purchaser please note, due to law changes with anti-money laundering, estate agents are now obligated to carry out AML checks on purchasers. You will be required to provide information to assist with our checks. Please note, due to changes in Data protection laws, we will inform you how your information is stored and why it is required. We do not pass your information on to third parties. All information we provide is in good faith and as a general guide to the property. The description is a view of the agent and open to opinion. Details have been verified by the sellers. We are advised the council tax is band C and payable to Coventry City Council.